Inspired by the fictional creature that sprung from the depths of noted sci-fi/horror writer H.P. 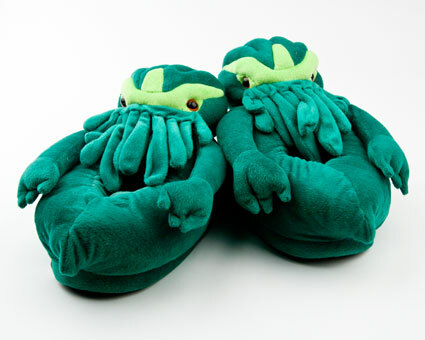 Lovecraft's imagination, we proudly present the plush Cthulhu slippers. 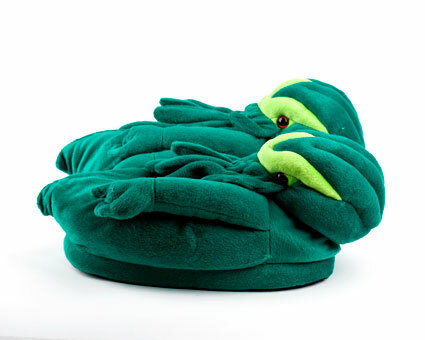 The eye-opening design, which envelops the entire foot in devilish warmth and comfort, features dangling tentacles, claws, red demonic eyes, and a green-on-green colorblock, all of which are true to the orginal as described by the author himself. 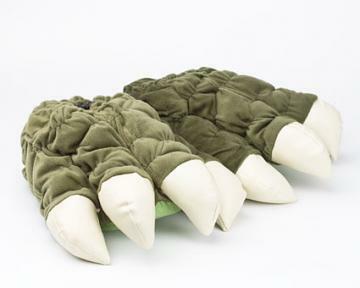 Perfect for Halloween and scaring household pets. Got these for my birthday from my husband. So cool and goes work all my other Chuthulu stuff! Disadvantages: Uncomfortable to walk in without arch support, dog thinks it is his chew toy. 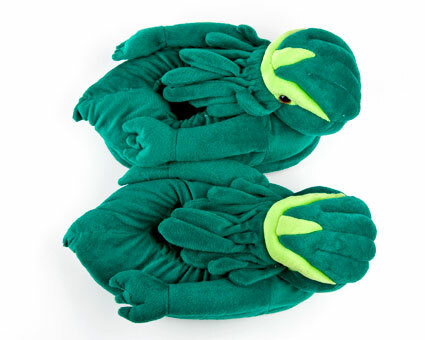 The slippers are unspeakably warm and insanely comfortable, and they arrived quickly even though I ordered shortly before the holidays. 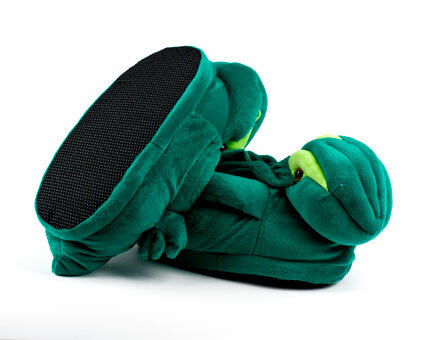 Disadvantages: The foam in the soles has already compressed noticeably (about a week of wear). 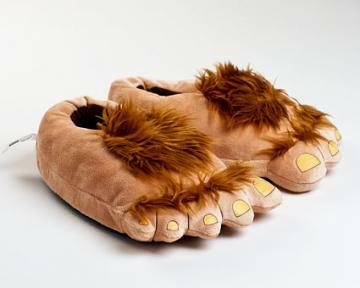 They're not uncomfortable, and it's not a huge deal since they're slippers not running shoes or anything, but heavier-footed wearers may want to know. Arrived sooner than anticipated and great quality! First order but won't be the last! Advantages: Quick, value, great price. Disadvantages: A bit hard to run around in, but still fun. 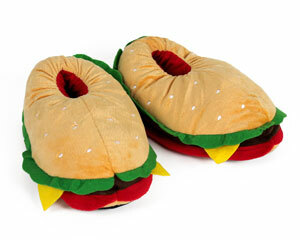 These are so cute and comfy. Just like the pics. My boyfriend loves them. Bought these as a gift for our son and they are awesome. A little small but still fit. These are really neat looking, great color fabric and style. I love these! 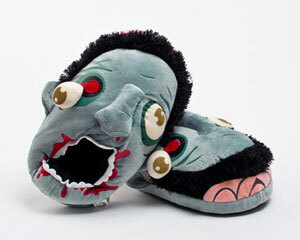 These slippers are well made and super soft.